Picture this scenario: It&apos;s five o&apos;clock on a Friday afternoon. You are radiating with the glorious feeling of relaxation, and you are ready to embrace your weekend with open arms. You start to think about what you have planned for the weekend and realize that your Friday evening is open. Looks like you&apos;ll be spending another night on the couch watching some TV, right? Wrong! 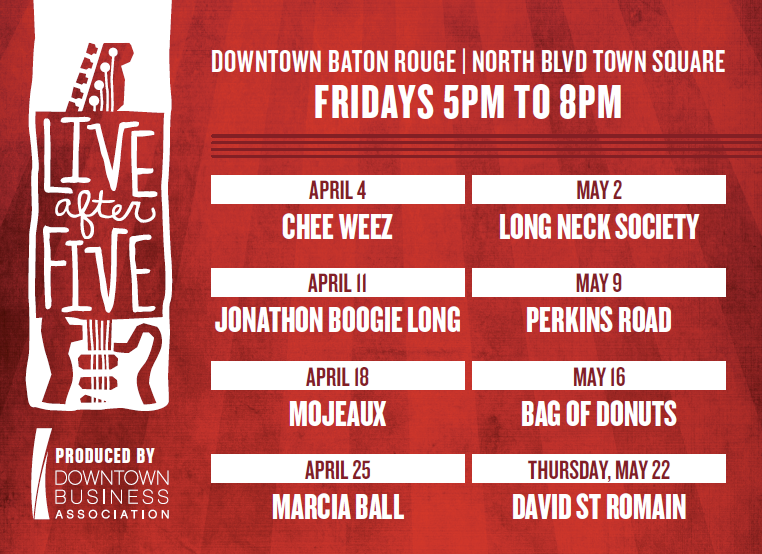 Thanks to Baton Rouge&apos;s Downtown Business Association, locals can clock out from a day at the office and head on over downtown for some swinging tunes and a fun, FREE time during Live After Five! 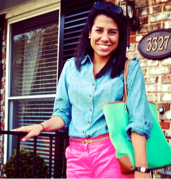 Let me repeat that: a fun, FREE time at Live After Five! Starting on April 4, there will be different performances every week until May 22. Each week, performances take place in the North Boulevard Town Square on the Galvez Plaza Stage, from 5-8 p.m. 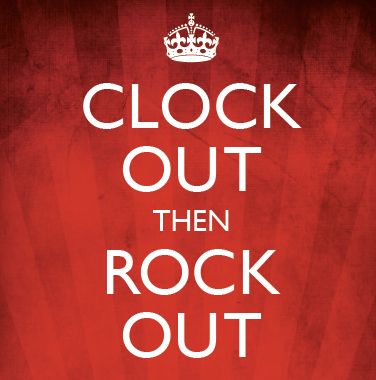 When the performance ends, your night certainly doesn&apos;t have to! Head on over to Third Street and enjoy the many music venues and restaurants, or enjoy a walk around the downtown area. Live After Five is held every spring and fall, and it&apos;s mission is to get people to enjoy all that downtown BR has to offer its visitors. If there&apos;s one thing folks in Louisiana know about, it&apos;s good music. So grab your dancing shoes, a lawn chair and some friends and enjoy the beautiful spring accompanied by great entertainment!